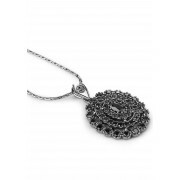 Make a style statement with this amazing vintage pendant necklace from Newbridge. A stunning pendant made with 56 black cubic zirconias stone setting. 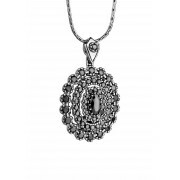 Make a style statement with this amazing vintage pendant necklace from Newbridge. 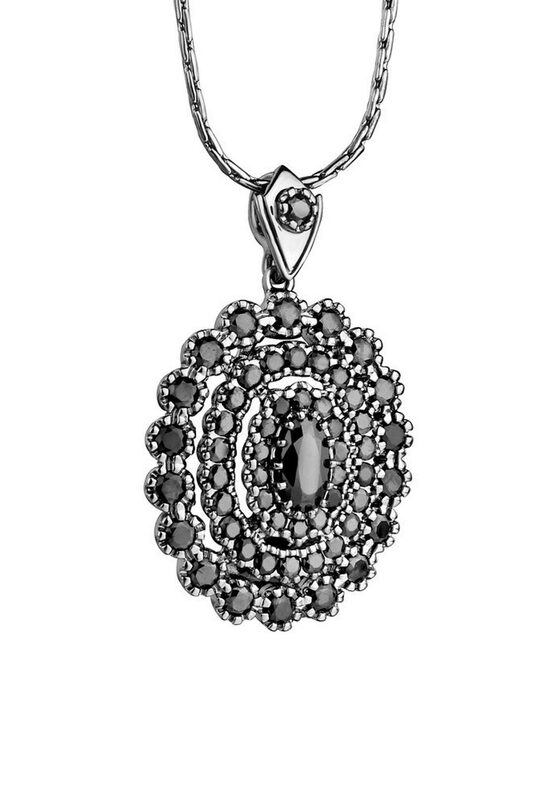 A stunning pendant made with 56 black cubic zirconias stone setting. It hangs on silver plated chain and is so classic.